A.R.G.U.S. 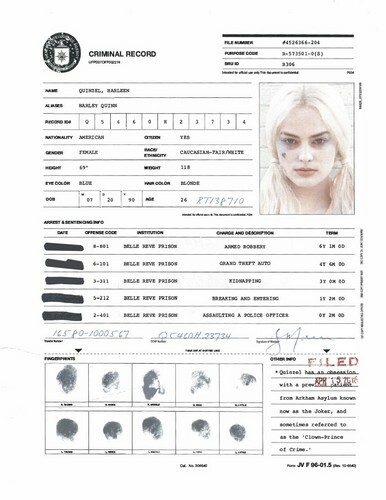 Files - Harley Quinn's Criminal Record. 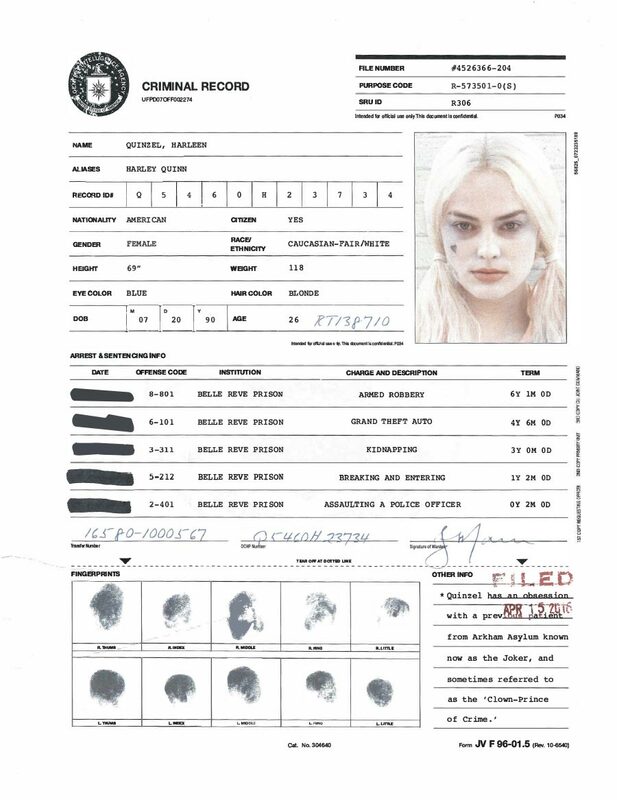 Harley Quinn's criminal record.. HD Wallpaper and background images in the Suicide Squad club tagged: photo suicide squad movie 2016 argus task force x file criminal record harley quinn dr harleen quinzel margot robbie.